The demand for certified organic ingredients and certified organic products seems to be getting greater by the day. At Essential Wholesale & Labs, we receive an almost constant stream of questions about organic ingredients, about formulating organic bases and about labeling and marketing organic products. It’s no surprise as the regulatory framework governing the production and sale of organic products, called the National Organic Program (NOP) isn’t always so easy to understand. It can be very challenging formulating a certifiable product from scratch, so working with organic certified partners can simplify and speed your time to market. What is a Certified Organic Facility? In order to produce a certified organic product, one must first be operating in a facility certified to handle and manufacture organic products. This requires a company to follow all NOP guidelines of ordering, receiving, quarantining, handling, manufacturing, packaging, labeling, and marketing as well as facility, equipment, and documentation maintenance. Organic facilities must pass detailed annual inspections by certifying agencies as well as the occasional unannounced inspection. Unless one successfully sees this process through, one cannot create a product and legally label it “organic”. In fact, if you purchase a pail of certified organic olive oil and you break the seal of that pail inside a non-certified facility, such as your home, the olive oil immediately ceases to be organic. Of course, nothing can change the fact that the oil was pressed in a certified organic facility from olives cultivated and harvested according to organic agricultural processes, but from a strictly legal point of view a certified organic product can only be handled in a certified organic facility. Once the olive oil is handled in a non-certified facility the organic “chain of custody” is broken and it can no longer be labeled “organic”. Losing certified organic status because of a break in the chain might sound unreasonable. But honestly, our hypothetical handler might not know a thing about working with organic products. They may keep both organic and conventional olive oils next to one another on the same shelf and might grab the wrong one in a moment’s distraction. Or perhaps they might pour the olive oil into a mixer that was just cleaned with isopropyl alcohol or some other toxic chemical. They might use tools and equipment that cannot be properly sanitized. Perhaps their facility has a pest problem which they are trying to deal with using some poison that would never be allowed in a certified organic facility. Personally, when I am buying an organic product I want to know that it was handled by someone who understands how to protect the integrity of organic ingredients. What About Using Just the Word, ‘Organic’ on my Product? It isn’t at all unusual to come across products falsely labeled “organic”. Vendors may offer the feeble explanation that their products are organic, they just aren’t “certified organic”. Never fall for this. If a product is not certified organic then it is not legally organic and does not qualify to use the word “organic” on its labeling except to identify organic ingredients in the Ingredient List and to indicate the product’s total organic content as a percent on the information panel on the side/back of the label. If the product is not certified, the word “organic” cannot appear anywhere else on the label and yes, the USDA and Federal Trade Commission (FTC) do have the authority to take action against companies labeling non-certified products as “organic”. Just as you need to understand the requirements for selling into certain states and countries, it is imperative you understand and follow the requirements of the NOP to get your organic certification. A partner like Essential Wholesale & Labs can really help. We have ten years of compliance experience, having been Certified Organic since May 2008. 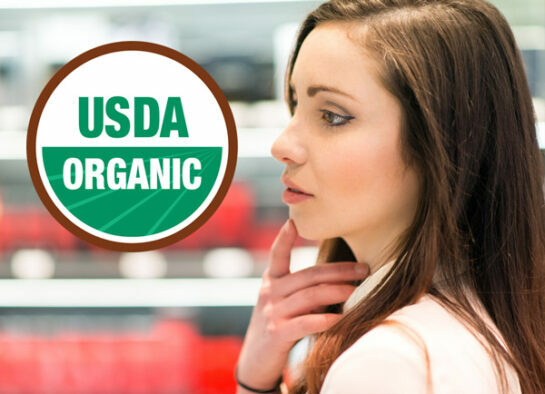 We carry USDA Certified Organic bases, finished products, and raw ingredients, that, when used to create and package products in our certified organic facility, can smooth the path to your product earning a certified organic seal. We will work with you every step along the way. We’ll talk with you about your product ingredients, pricing, packaging options, timeline, labeling requirements, paperwork and the unexpected ‘gotcha’s’ you need to know about. Our private labeling department will work with you to leverage our expertise and certification to build the certified organic product line you’ve been planning. You can always reach us at info@ewlnatural.com if you have questions or want to schedule a time to talk.